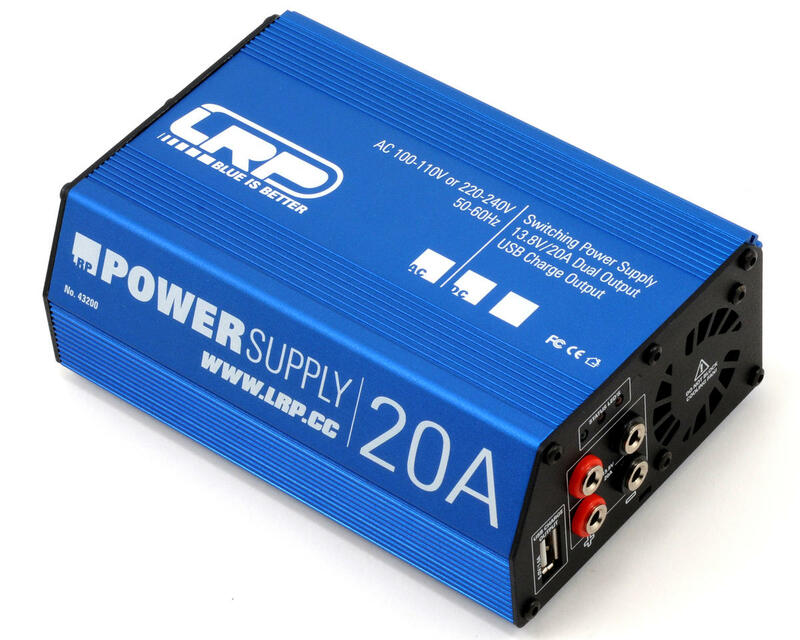 The LRP Competition 20A Power Supply has been designed completely from scratch and contains two 12V power output connectors for easy connection of multiple 12V devices such as charger, lights, and other pit accessories. The output power of 20 amps at 13.8 volts makes this power supply a perfect fit for a power-hungry day at the track. Another feature is the separate USB charging output. The included USB port is great for MP3 devices and mobile phones. 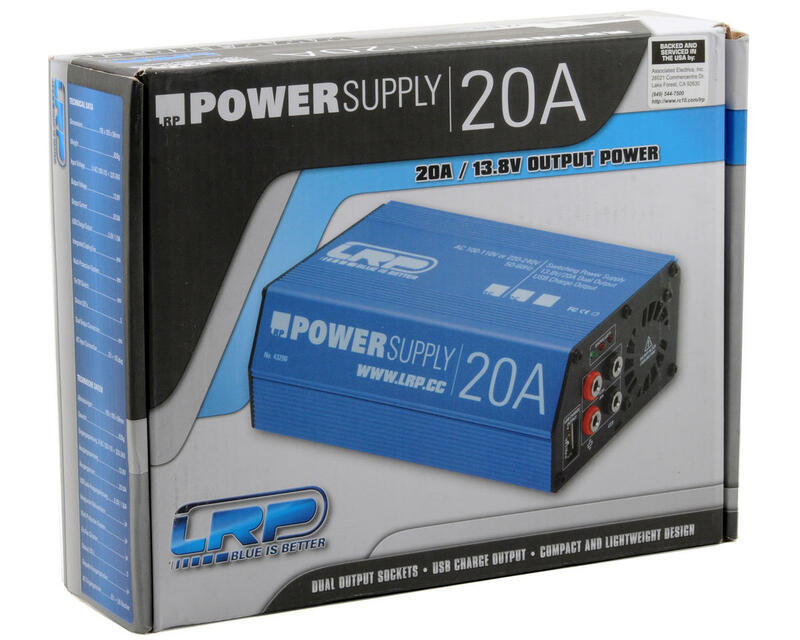 The LRP Power Supply is designed to be used worldwide with an input voltage range of 110V to 230V and is securely encased in a blue-anodized aluminum housing. 20A / 13.8V Output Power: High power output to simultaneously use multiple chargers. Dual Output Sockets: Two individual output sockets for 4mm standard connectors. USB Charge Output: 5V / 1A USB charge output for electronic devices like phones and MP3 players. World Wide Operation: Adjustable input voltage. 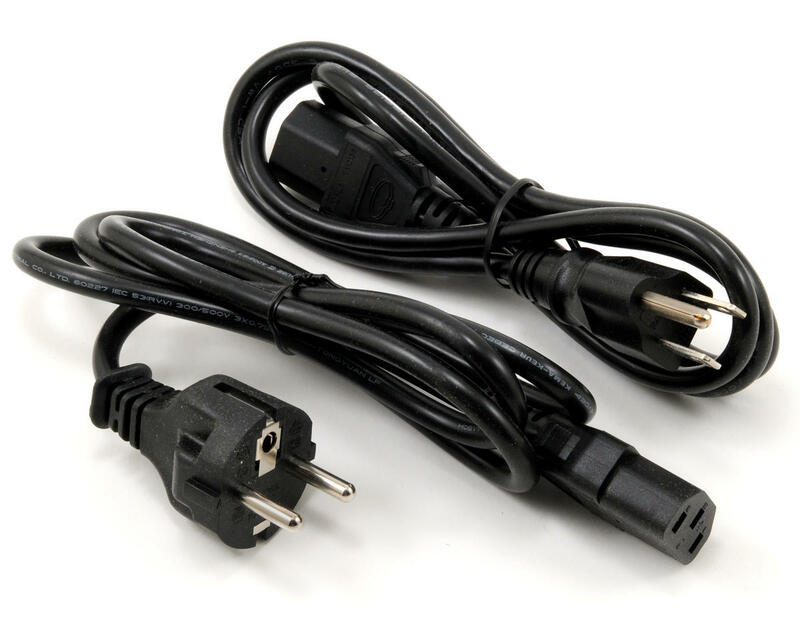 Universal Input Cords: Includes two input power cords, US/Japan and European connectors. when it gets a little warm to the touch. I Like the DUAL OUTPUT and the USB port for charging your Cell . The Quality for the price is impressive .. it feeds my Hyperion EOS 720I super duo3 quite well. Buy yourself some banana plugs and your on the go with this PSU unit .. I just got one of these in March 2012 and it's sick! It's super-light for travelling and the finish is amazing. Plus, you can USB charge your cell phone in the pits! I just ordered mine! I have been waiting to order this for a while. I'm a huge fan of LRP products and I'm sure I will be amazed with this product as always.